Worried that gaunt cheeks are making you look older? Our Kelowna cheek rejuvenation treatments, including facelifts and tissue filler therapy, can help instantly improve your appearance. The good news? The appearance of the cheeks can be significantly improved through surgical procedures such as a facelift or minimally-invasive treatments including tissue fillers and thermage therapy. Using VISIA Digital Skin Analysis, our skin specialists are able to create customized cheek rejuvenation treatments for our patients across Kelowna, helping you look and feel years younger. What Can Be Done to Improve The Appearance of The Cheeks? The aim of cheek rejuvenation treatments such as facelifts or tissue fillers is to rejuvenate the area and address any aging concerns and skin damage that may have taken place over the years. As you grow older, you begin to experience a loss of collagen and facial fat which leads to a loss of definition throughout various facial features including the cheeks. Tissue fillers are one of the most popular and effective treatments of treating volume loss. Injectables such as Juvederm and Restylane work quickly to restore facial volume and the results can last up to 12 months. How do tissue fillers work? This skin rejuvenation therapy works to stimulate the production of collagen in the treatment area to restore lost volume with natural, beautiful results. How long will the results last? 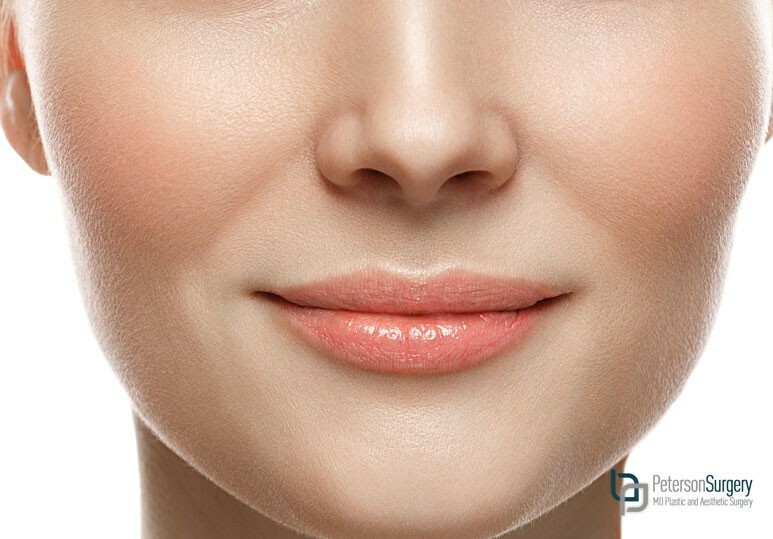 The effects of tissue fillers are long-lasting but not permanent. Depending on which filler you opt for, repeat treatments may be required every 6-12 months. Even if you work hard to protect your skin from UV exposure, you could still have plenty of sun damage left from when you were younger. In fact, UV rays can penetrate deep into our skin, fracturing collagen and elastic fibres and causing our skin to wrinkle and droop. Fractional resurfacing is a safe and effective treatment that removes layers of sun-damaged skin to reveal healthy skin containing new collagen and elastic fibres. How does fractional resurfacing work? The Fraxel laser uses an advanced fractional technology to target damaged areas with microscopic laser columns that penetrate deep into the skin. This stimulates your body’s own natural healing process, replacing old and damaged cells with fresh, glowing and healthy skin. How long will the results last? The longevity of your Fraxel laser will depend on how well you protect your skin from the sun and your genetic aging process. With annual maintenance treatments, you can continue to enjoy the incredible results of this cheek rejuvenation therapy for many years. As we age, we tend to lose fat and this causes our faces to deflate and our cheeks and jowls to look like they are sagging. Thermage is a non-invasive radio frequency therapy that can address the elasticity loss and droopiness of your cheeks. Using Visia Digital Skin Analysis, our specialists can customize the thermage treatments to your needs for sleeker, smoother and younger skin. How does thermage work? A revolutionary treatment for aging skin, thermage uses focused radio-frequency energy to strengthen collagen in your skin for a smooth, sleek and natural look that can help you feel years younger. How long will the results last? The difference in your cheeks will be noticeable almost immediately. You will experience continued improvement for up to six months after your thermage treatment as your body regenerates its collagen production for natural, dramatic results that can last for many years. While non-invasive methods such as tissue fillers and Thermage have the advantage of little to no downtime, they are most effective in the early aging phase. However, when the skin starts hanging in the cheek, jowl and neck area, there’s nothing that restores a beautiful face shape like a properly done facelift. Considering a facelift? Using our advanced skin analysis system, our specialists can create a customized facelift treatment to elevate and replace the soft tissues of the cheek, reducing any signs of aging and refining your overall facial structure. To find out which cheek rejuvenation option is right for you, contact our Kelowna skin specialists today at 250-868-9099.